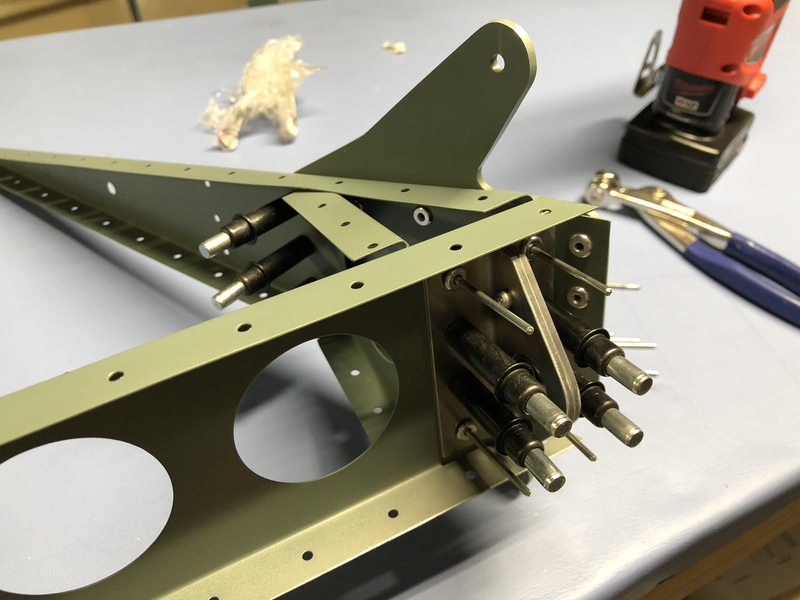 After a long period of working on the fuel tank, I’m at a step where it needs to be attached to the wing. Unfortunately it’s ridiculously cold in NH right now, which makes working in the garage unpleasant. 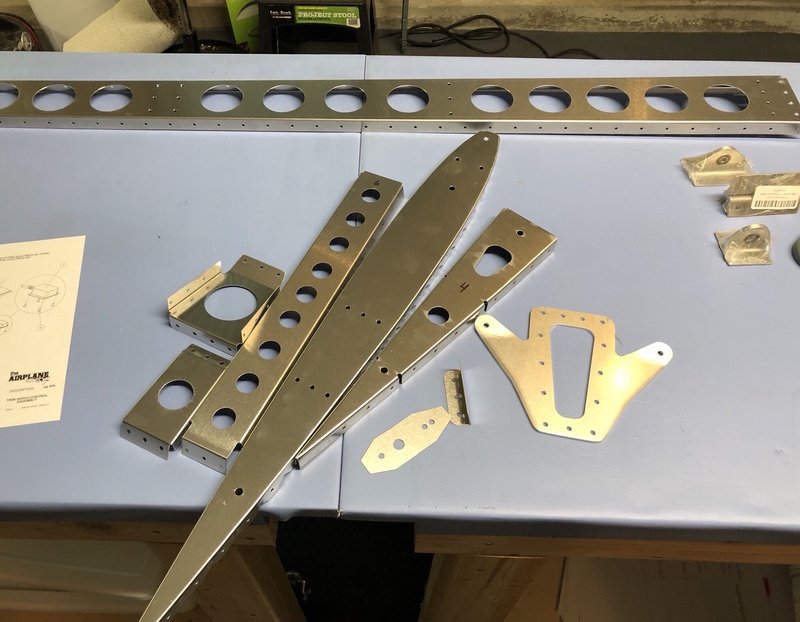 So, I decided to take a break from the wing and finish up some empennage tasks. 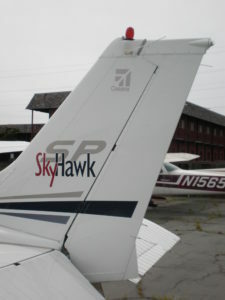 I had to request a new rudder skin from TAF a while ago, as the original one that came with my kit was damaged. 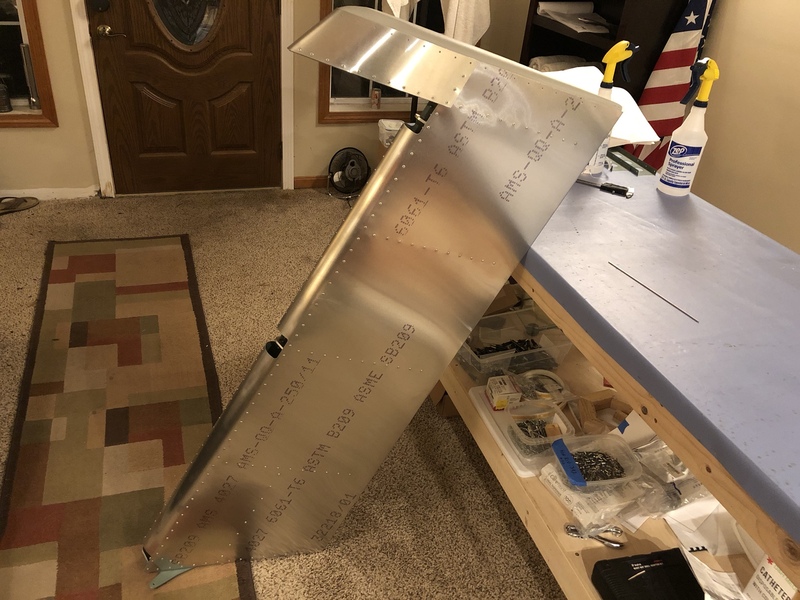 The replacement skin arrived after I had already started working on the wing, so I didn’t get back to finishing the rudder until now. It felt nice to quickly finish something in a day! 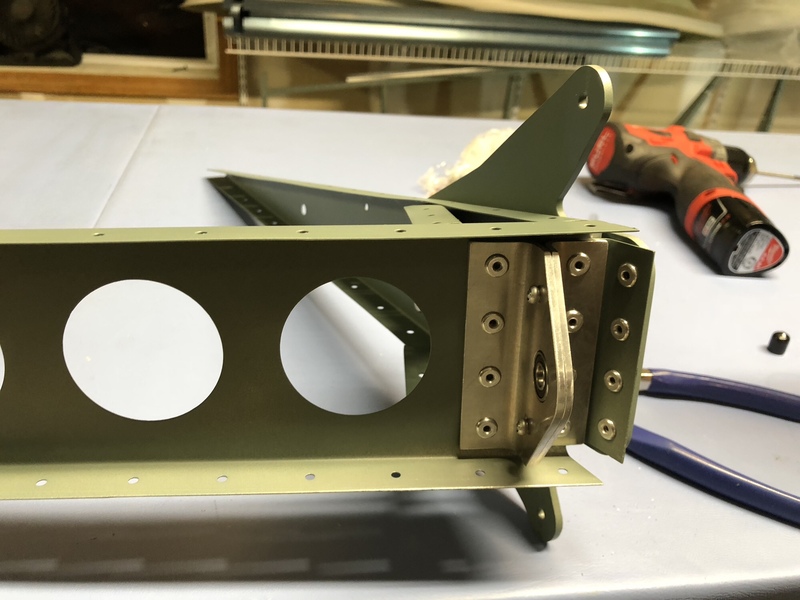 The only thing that slowed me down was having to modify some rivets to shorten them to fit on the aft edge of the skin. 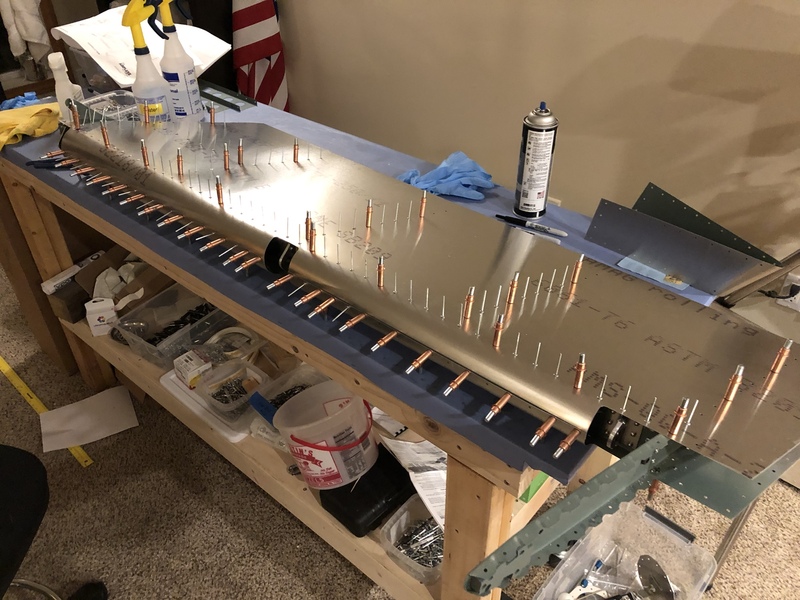 Below is the (almost) complete rudder – the only thing left to do is attach the fiberglass cap, which I’m purposely waiting to do until I decide on which recognition strobe I’m going to use. I guess I also have the task of filling the rivet heads at some point. Next up is the elevator, which also had a skin problem, but I have the replacements in-hand. Newest piece in my kit, manufactured in 2018. Most of the other parts I have were made in 2016. 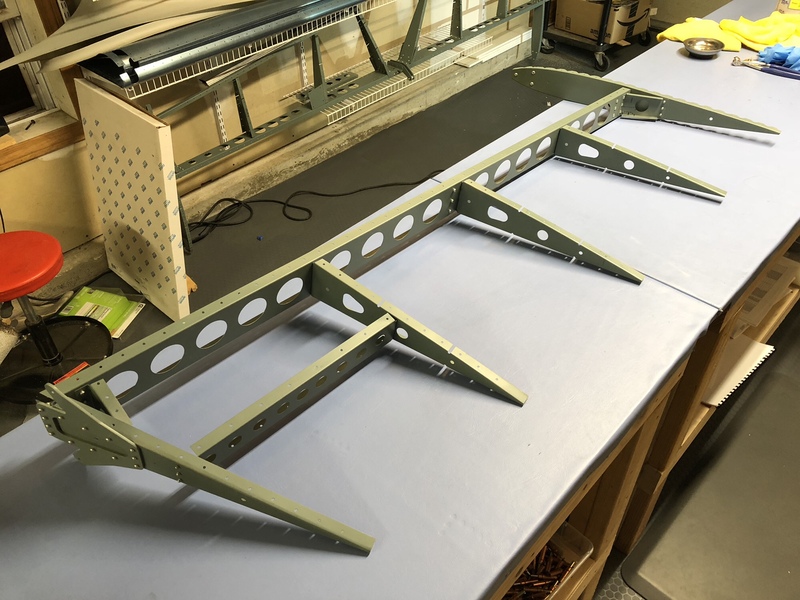 I finished assembly of the rudder structure this weekend. All went together as expected. 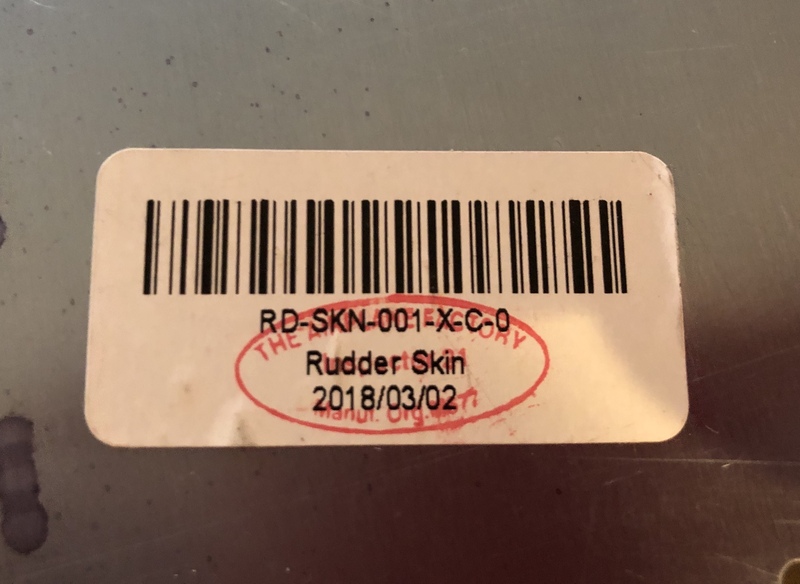 Unfortunately I will have to wait to complete the rudder as I am awaiting a replacement skin from TAF (the one that came in my kit was damaged in shipment). 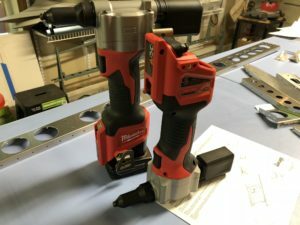 It’s on its way from the factory, hopefully will receive it soon. Good thing I also ordered the wing kit, guess that’s what I’ll be starting this week! It’s been a little bit since I’ve been able to work on my plane – work has been busy (including an overnight trip), but I’ve also been taking advantage of the nice weather lately, doing some outdoors stuff like biking, hiking & pool days. I spent about an hour last night prepping the rudder, as shown above. Removing wrap, deburring, cleaning, etc. I’ll get the parts primed and then assemble it this weekend. For now I’m leaving the fiberglass cap off, since I haven’t yet decided on which lighting system I’m going with. I’m leaning towards the third option. Price seems better than Aveo, and has synchronization features like the Aveo but even slightly more advanced. The similarly-named Avio lights don’t synchronize, and right now don’t comply with the anti-collision lightning requirements for angular coverage, but I’ve contacted the manufacturer and they tell me they are releasing an updated version soon that addresses both of these issues. Nonetheless, I’m holding off on making a choice for now. 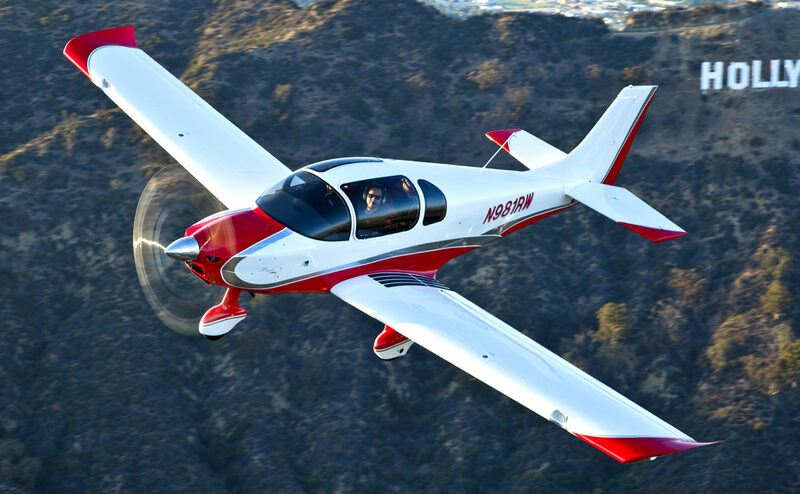 I’m going to Oshkosh this summer so I figure I’d take a closer look at options at the show. I know Whelen is a pretty big name in aviation lighting, but they don’t have a good product option for the top of the rudder. TAF’s chosen location for the tail light – at the top of the rudder – is a little different compared to other designs. It’s really only suitable to put a recognition light there (aka beacon), because all the small, LED-based position lights/strobes I’ve found are designed to be installed aft-facing on the back of the rudder (or tail fairing), not on top. Whelen does make recognition strobes for this application, but they’re honking huge! In other news, I also received my second rivet gun last week, so now I’m ready to tackle both sizes of rivets more quickly!